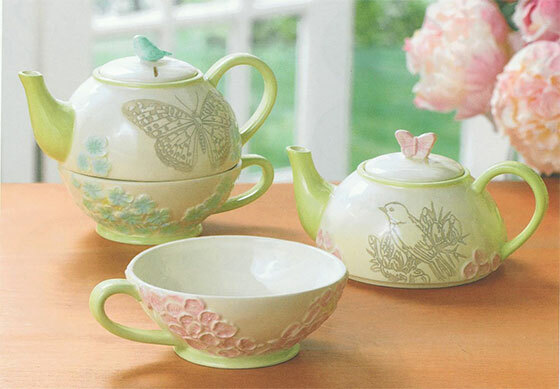 If you are one of those who like to enjoy tea by themselves, then this is the post for you. 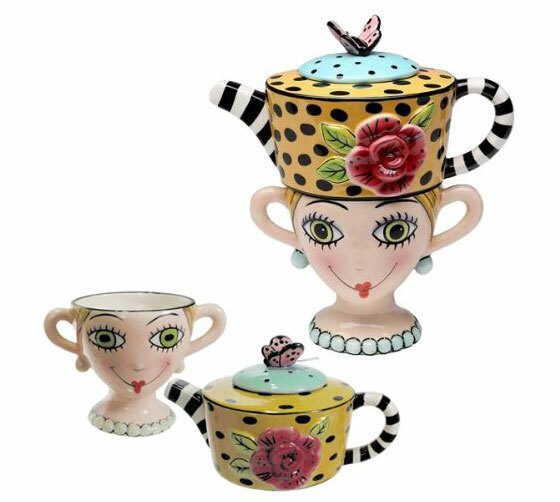 Explained by its name “tea for one” is a cute little set has everything you need for a tea party of one: a cup and a teapot. And the best part? It all fits perfectly together into one streamlined package. Hence, it is easy for storage and pleasure to use. It just make every cup feel like a special occasion. 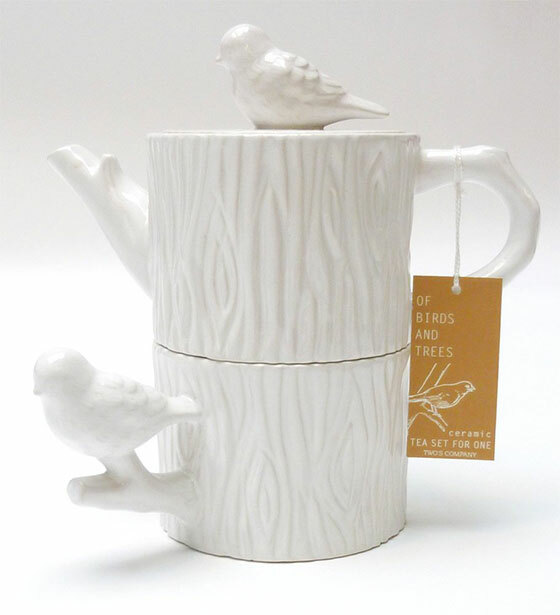 The 7-Inch crafted fine hand painted ceramic tea for one, one pack. It can be used as a beautiful centerpiece for home and garden. 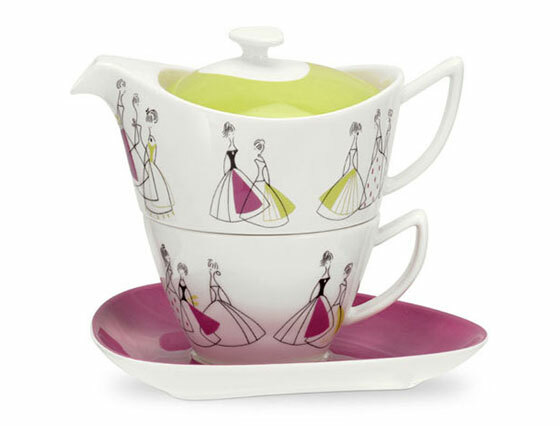 The product is designed by Babs, with a whimsical, stylish and an artist look. A functional to the casual or give you many joys on the dinning table. Hand washing recommended for earthenware and made in china. Made of ceramic (hand-washing recommended). 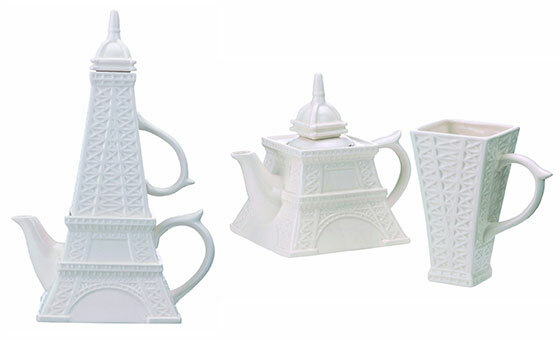 5-pieces: teapot and lid, teacup, mesh brewcup and tower top. 10″ in height when assembled. 4.5″ square base. Its a teapot and cup all in one. Display it proudly whether youre drinking tea or waiting for a moment of solitude. 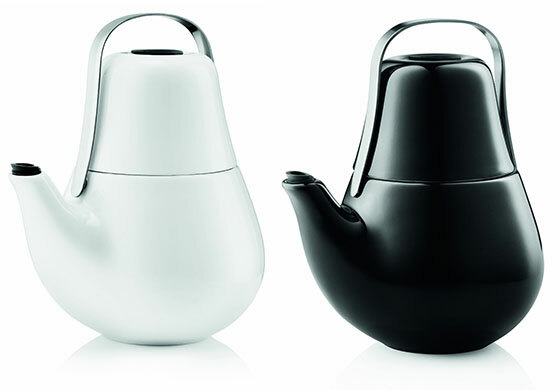 The Eva Solo My Tea teapot is a smartly designed self-contained single service teapot with lid that is also a cup. 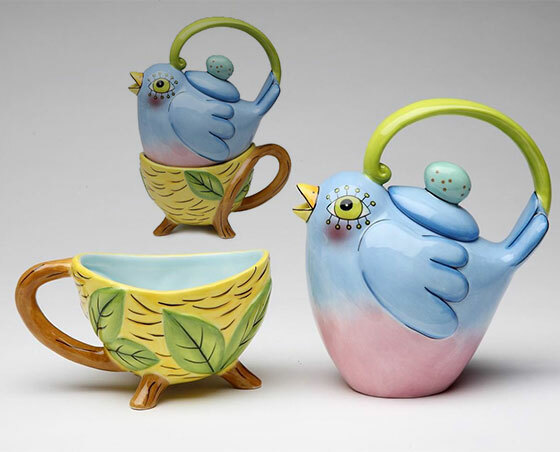 The combined teapot-and-cup design is easy to carry around the house or out on the patio year for relaxation and enjoyment of your favorite tea. The teapot made of porcelain with a stainless steel carrying handle and silicone drip-free pouring spout is dishwasher-safe. It holds .75 liters and can be supplemented with the matching Eva Solo My Tea thermo cups, so you can enjoy sharing tea time with others. Sanderson Fifi is a fabulous new vintage-inspired tea-time collection from Portmeirion, produced in partnership with Sanderson and their original 1950s wallpaper print.